Schacht failed to convince Hitler of the necessity for scaling down rearmament and found that his responsibility for the economy reduced, in 1936, in favour of Herman Goering. The promotion of Goering over the experienced and responsible Schacht would obviously undermine Schacht. He resigned his posts in 1937 and replaced by the more subservient Walter Funk. Hitler had used Schacht for his ability to rehabilitate the economy and German financing, now he had no use for someone with ideas. 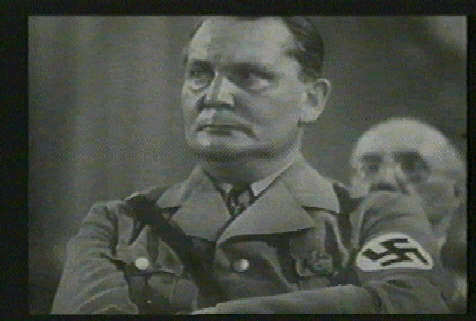 Goering introduced the second plan for German economic recovery. It became known as the four year plan. This plan is key to our understanding of how far Hitler was creating a war economy in peacetime or actually creating the conditions necessary for war in the future. 1. The ability to acquire property and businesses for his programmes. One of Goering’s key aims within autarky was to replace products that Germany was not producing enough of or at all by synthetic methods. For example, rubber, oil and petrol were produced in large quantities and stock-piled for future need. Iron ore was concentrated at Salzgitter in Hanover and Fanconia (south) order to reduce reliance upon Swedish imports. He established companies in the Ruhr to supply German industry with coke and coal rather than importing from Italy and France. Such schemes were not always built upon economic sense and also did not always meet with success. 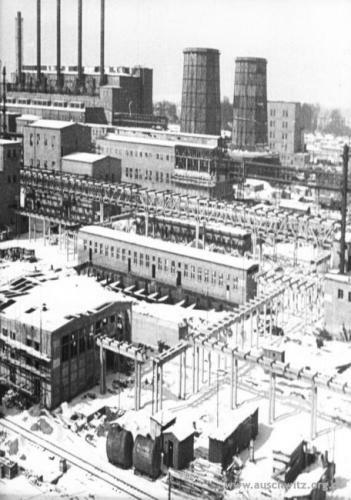 Production in Salzgitter fell below target levels while in Franconia steel and iron works were not completed before the war started. Completing them during war was not of immediate concern. 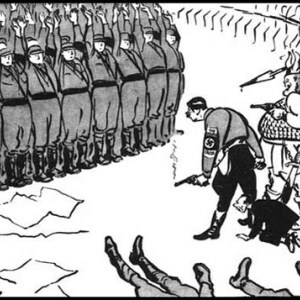 Additionally, Hitler’s foreign policy (1936-38/9) brought Germany territories that were richer in raw materials and minerals. Even so, by the mid-1930s Germany was second only to the USA in iron and steel production. Goering was also keen to establish links with big business, especially with those who would be useful to the Nazi regime later. He forged a strong relationship between the Nazi party and the chemical giant IG Farben. The company supported the party financially and committed itself to produce synthetic substitutes for rubber, petrol, petrol, oil and textiles. Likewise, the company persuaded the Nazi party to increase its investment on the promise that it could help Germany achieve self-sufficiency. Goering, though, was more than a war developer. He was a vicious administrator, who would make continued demands of his staff and would sack civil servants at will. He set up a General Council that was directly answerable to him. He made all the decisions on foreign exchange and raw materials, as well as taking responsibility for the allocation of labour, agriculture, price control, industrial investment and foreign trade. 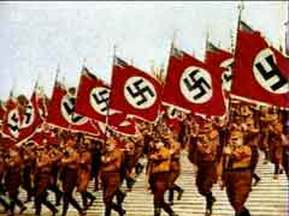 1936 was a turning point for the Nazi party and for the economy. Hitler’s initial policies had been clearly successful. Confidence was high, unemployment was down to 1.6m, the nation was benefiting from Hitler’s policies. He now needed to keep them up and, if possible, improve. The question was now: how does the Nazi state progress? Schacht had initially accepted the need for government deficit financing in the reflation of the new economy but he was becoming concerned at the distortion of the economy due to rearmament. He was worried at the increasing strains on the budget and on the mounting balance of trade deficit. 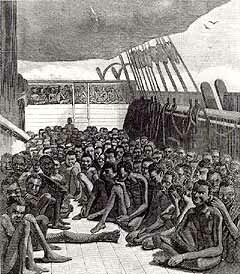 Schacht wanted to increase exports and slow the increase in arms expenditure. Hitler became impatient with Schacht and put Goering in charge of the Office of the 4 Year Plan. 1. Maintain the platform that had been established by Schacht. 3. Autarky (Self-Sufficiency) in food, industrial output, raw materials and machinery output. In all, the office of the 4 Year Plan under Goering, set the overall targets that private industry had to meet for the benefit and advancement of the Nazi State and Hitler’s future plans. * Goering planned to take control of the vast resources of the Germany through one vast bureaucratic apparatus to ensure that private industry fulfilled the aims of the State. * Targets would be pre-set for each company. * Before long, Goering held almost complete authority over the allocation of capital, raw materials and labour. * Firms such as IG Farben co-operated with the plan as they benefited materially and from huge Government investment. * IG Farben also benefited from the cartelisation of industry that enabled them to control price, distribution, supply and product. * Businesses who did not co-operated incurred the Goering’s wrath. * When the iron ore producers of the Ruhr refused (1936) he set up theReichwerke – a massive state run mining operation – to compete with them. * He also used compulsory purchase, denied companies access to funding and used intimidation to keep companies in line. * By 1939, the Reichwerke was the largest industrial enterprise in Europe. * Depends on when you look at the either of the four year plans. * Unemployment was certainly lowered – it drew great praise from nations outside Germany. Many historians have come to question the success of the programme in actually lowering unemployment as their a natural up-turn in the world economy after 1933. * Work creation schemes and massive social programmes certainly gave the impression of a vibrant, exciting and exhilarating work for all scheme. The GLF, through Strength Through Joy and The Beauty of Work, may have improved working conditions but real wages rarely rose between 1933-39 despite a distinct labour shortage. * Heavy industry certainly showed improvement in output – especially industries related to the military and rearmament. * Iron, steel and chemicals also saw an up-turn in their output figures – this again was partly due to international sales and government patronage. Rearmament plans were extensive but they did not provide the platform for full-scale war. That was certainly realised in Sept and Oct 1939. At best the army had enough ammunition and shells for 6 weeks of warfare. The strains of attempting to produce for guns and butter produced an economic crisis by 1939 which (according to the historian Ian Kershaw) may have convinced Hitler to go to war early. As such, we understand Hilter’s motive for war as resources. In general, it must be remembered that by the outbreak of war Germany was still dependent on foreign sources of supply for one third of her raw material requirements. It was only by 1942 that Germany was in any way self-sufficient but by then Germany was embroiled in a full-scale European war. Her resources were mainly those plundered from enemies and conquests.